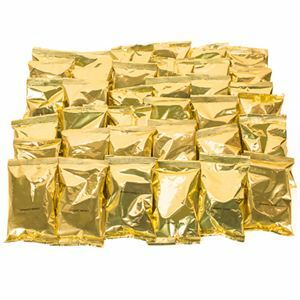 Change up your cup of coffee daily with Youngevity’s Be The Change Coffee 2oz Sample Packs - Variety Pack (36ct). Instantly enjoy the perfect pour of aromatic coffee for whatever mood you’re in, with a selection of Be The Change Coffee found in our Variety Pack. 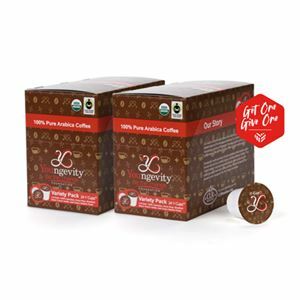 Youngevity’s Be The Change Coffee is grown and harvested at our very own plantation in the high-mountainous region of the Nicaraguan rainforest. It is grown under the strictest standards ensuring the best 100% Pure Arabica, Rainforest Alliance Certified™, Fair Trade Certified™, and environmentally-friendly coffee is produced. The profits generated from each Be the Change Coffee purchase are donated in their entirety to the Be the Change Foundation and help support the wonderful causes near and dear to Youngevity which include the American Red Cross, Make-A-Wish® Foundation, My Story Matters and Caterina’s Club. For more information on the Be The Change Foundation, please visit: youngevitybethechange.org. Includes 6 of each 2 oz ground coffee sample packs: Caramel Coffee Cake, French Vanilla, Diet Plus 62, Java Impact, Dark Roast and Medium Roast.